With so many changes happening to the Delta elite program (qualifying etc.) many readers are telling me they are dumping their Delta co-branded Amex cards. 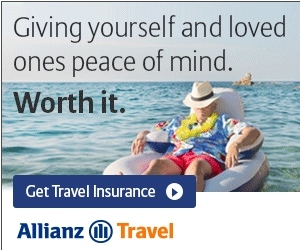 I understand their pain, but this may not be the best choice and especially so if you have a huge stash of SkyMiles. Perhaps, with the sweet deals on all 6 of the worthwhile cards (personal or business Gold, Platinum and Reserve) it would be best to get a new card for the bonus and then dump an old one. Bottom line, there is a big perk of holding one of these cards for PWM or the Pay With Miles choice and it can save you money. Many of the days the price drops down to $203.10 for the one-way. Since the PWM program let’s you spend your SkyMiles at 1 cent each you end up paying just 20,310 for the ticket and thus a savings of 2190 SkyMiles or 4380 round trip. Depending on how many of you are flying the savings, clearly, can be substantial. So does this make this choice a “no brainer”? Not always. It depends on a number of factors we will consider. Savings. As already touched on there can be savings if the SkyMiles price is higher than the PWM price. The con side of this equation is you are only getting 1 cent per mile value out of your SkyMiles and you may just be better off paying “cash” for that ticket (i.e. paying with a card that earns you more miles for your ticket). Earning elite points. Yes, even if you pay 100% with points, PWM tickets do earn MQMs and MQSs (but not SkyMiles). Those who are still chasing status with Delta often like this choice as it gives them a chance to burn up SkyMiles and earn something more valuable to them, that is, elite points. Better upgrade chance (non-E BASIC fares). After your elite status the next on the list of tiebreakers for a medallion upgrade is fare class. Since you are basically buying a ticket when using PWM you are going to be higher up the “food chain” if you will vs. an award ticket that is lower down. This should not be a determining factor for using PWM, but one of the mix to consider. Same Day Change flexibly. This can be huge. Since you are again basically on a paid ticket you are not under the rule that the same (whatever) level SkyMiles award must be open the day you fly (very unlikely) vs. just the same fare class seat (also unlikely, but slightly better). The real perk here is on a PWM ticket in 1st class as then any 1st class seat, if open, is an option for you. Few folks ever SDC so this should not be a determining factor for most but is worth mentioning. Lack of flexibility. This is the one major downside to PWM, that is, the lack of flexibility. Platinum and Diamond Medallions have, with a SkyMiles award, the choice to, at no cost, redeposit award tickets up to 72 hours before departure. That is sacrificed when you go with a PWM ticket as most “normal” restrictions apply just like a “cash” ticket. However, some risk it for the savings and use the “Mighty Schedule Change” rules to still get a no-fee redeposit when needed. So there you are. When it comes to point value we always need to consider all our options and PWM can be a reason to at least hold the Delta Gold SkyMiles card (personal or business) long term when you are sitting on a pile of SkyMiles waiting to be burned. ← SWAG Saturday: Bluetooth speakers, Delta classic Delta One kit, 747 trading card & more! Your example isn’t quite accurate since PWM are redeemed in 5000 mile increments. So for a $203.10 trip you either use 20000 miles and pay the remainder in cash or you use 25000 miles and forfeit the remainder. I have cancelled a number of PWM tickets due to schedule changes and IRROPS but they never put the points back in my account. Rather, exactly like a cash ticket, I have the full value of the ticket to use prior to the expiry date with the change fee waived. Note that I must call in to use the ticket as online the fee waiver is not recognized. I used DL points to book a flight back from Tokyo to LA, Delta One. Per your post, I will get the MQMs for the flight? I guess I assumed if I used points there would be no MQMs granted. @SKF – PWM yes. SkyMiles award no. Level 1 vs Level 2 – explain??? Are “E” fares Basic Economy? Because Basic Economy is not available on award tickets…you can only get regular “Main Cabin” seats when you book awards, not Basic Economy. @Joshua – Talking about PWM that you absolutely can (not that you should) purchase E Basic Economy fares with – not SkyMiles awards. Rene, I’m just back from a flight to Portugal that I paid for with miles. I wanted it to be a PWM situation but had to finish the booking over the phone because the website kept glitching when I tried to book. Anyway, I’m home now but on my account I’m not seeing any MQMs show up, and the rep I called on the phone said that this was an Award ticket and not eligible. Should I call back and contest again to see about getting the miles returned? @Jacob – Yes HUCB if you were on a PWM ticket. Feel free to read them, slowly, off Delta.com the T&C. Does buying Economy Comfort (or whatever they’re calling it this week) get you a bonus on the fare class fort upgrades? Where does “W” fit in?